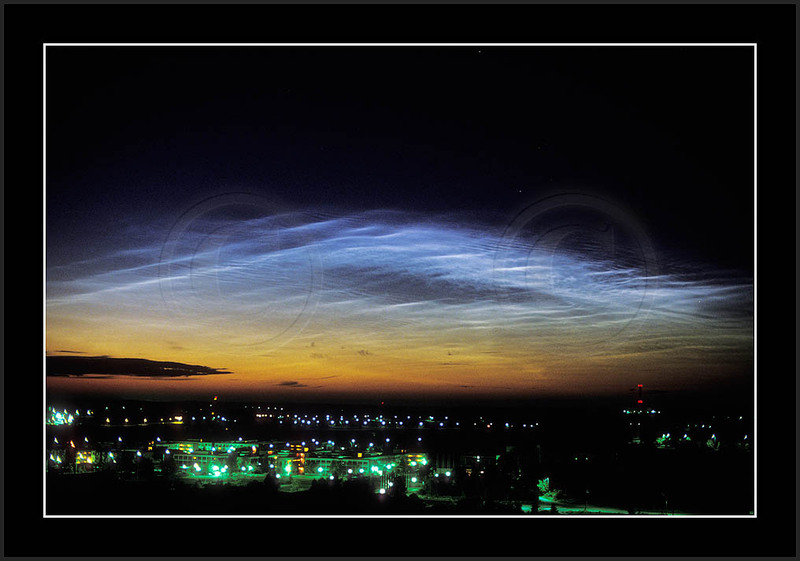 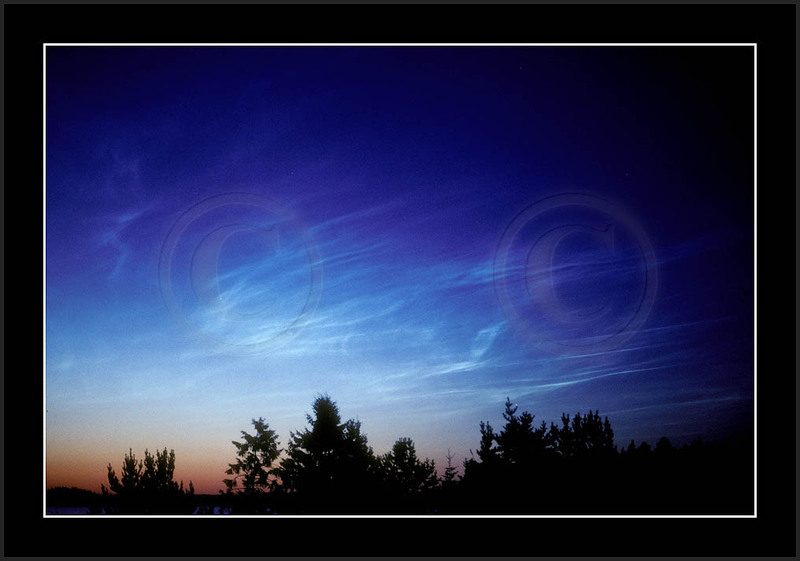 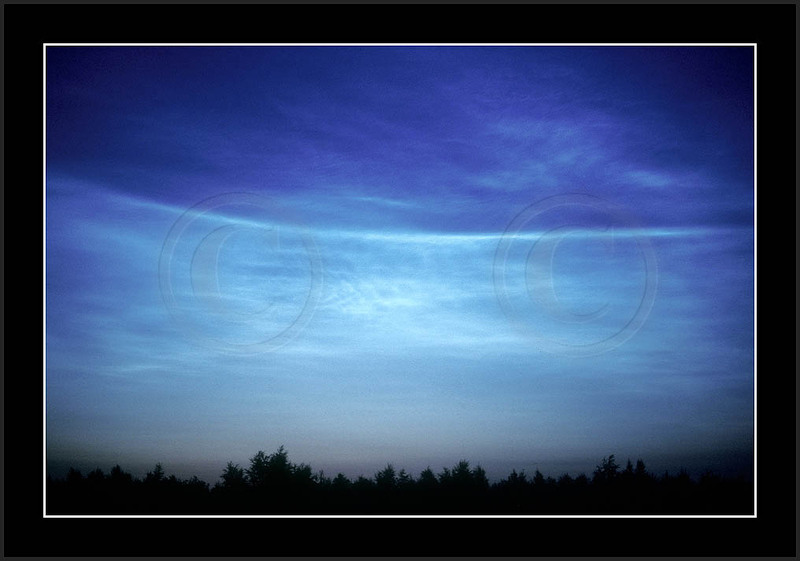 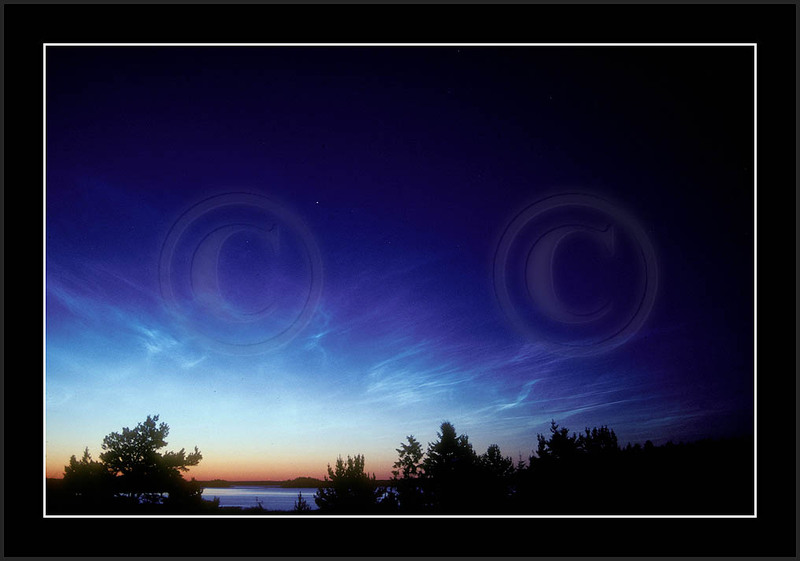 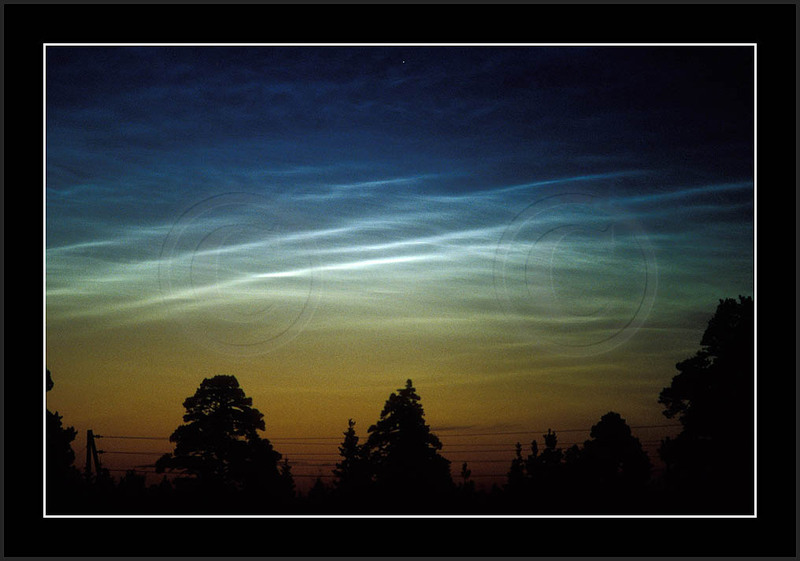 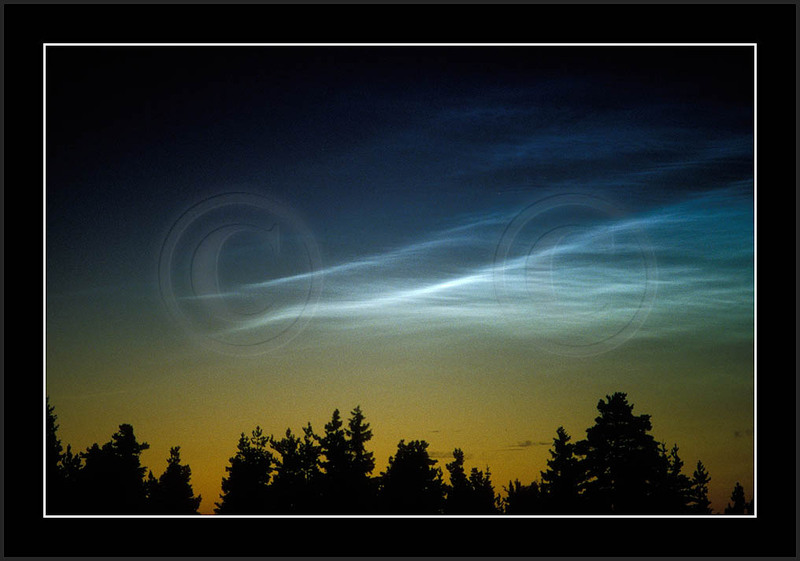 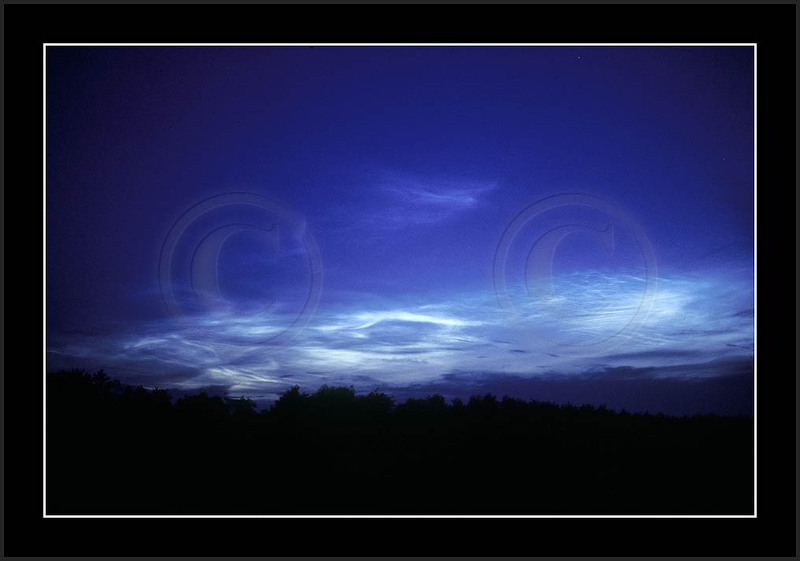 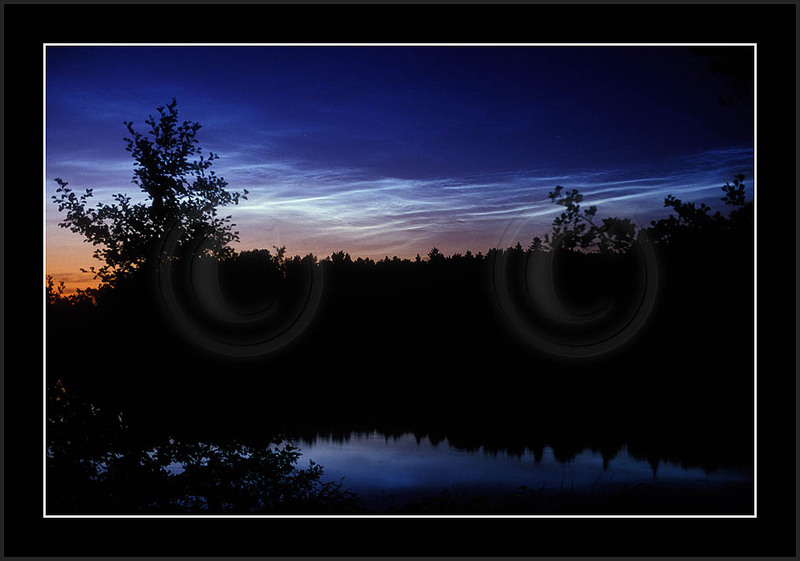 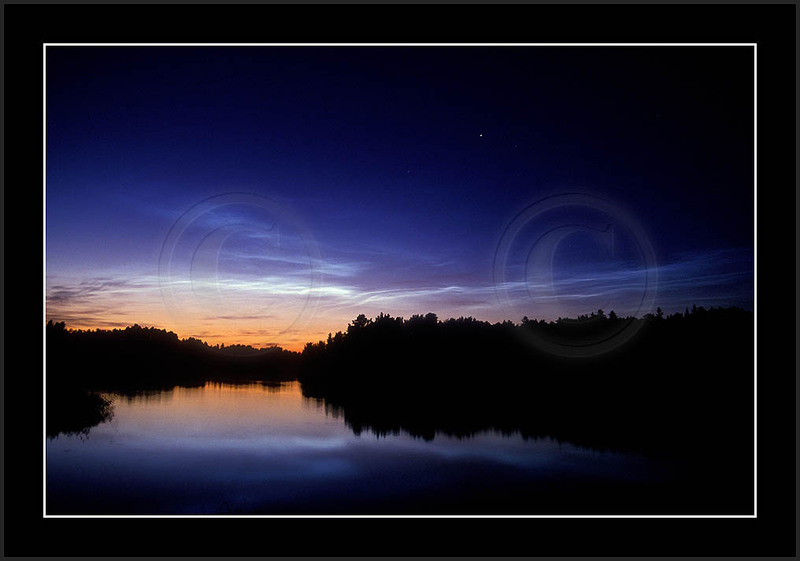 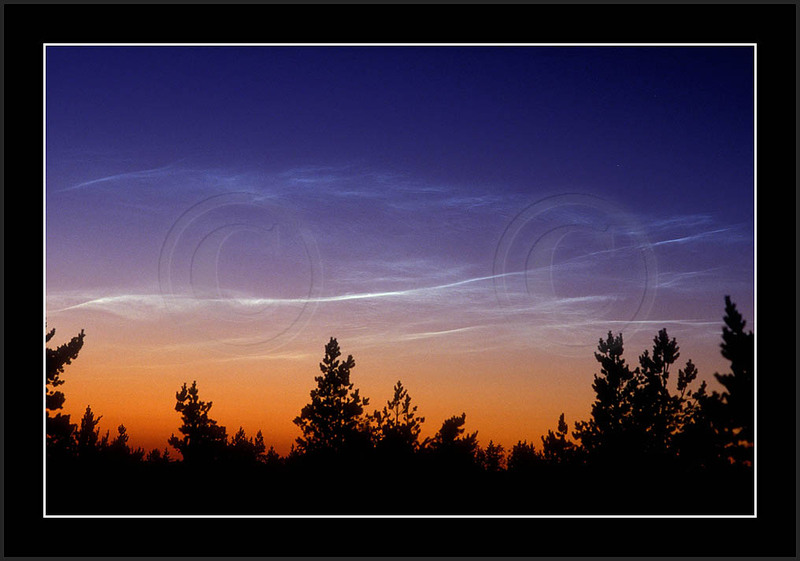 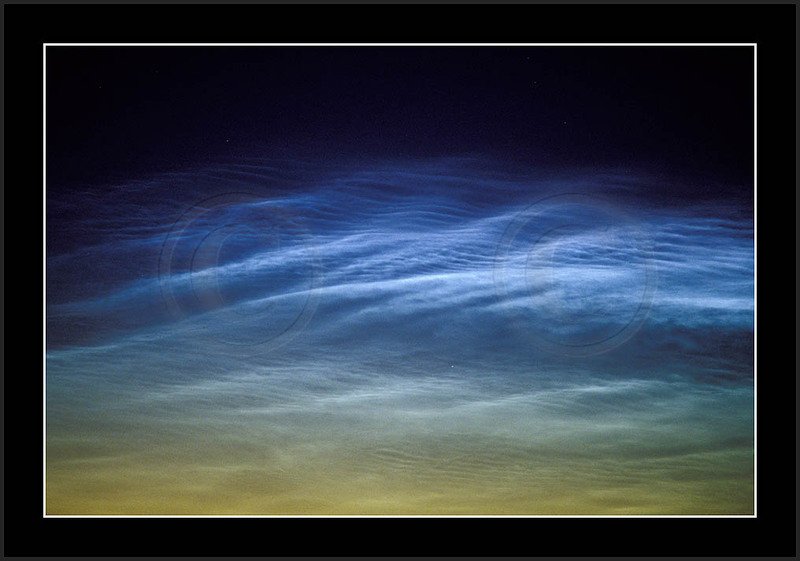 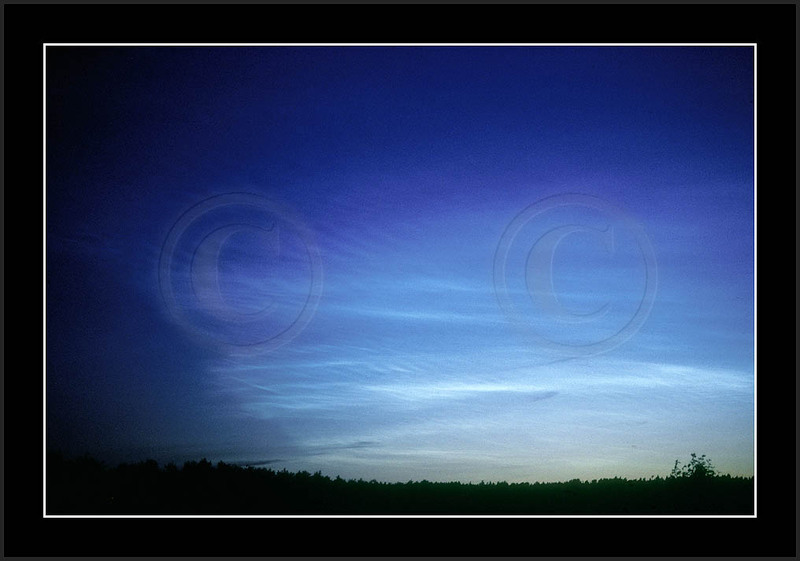 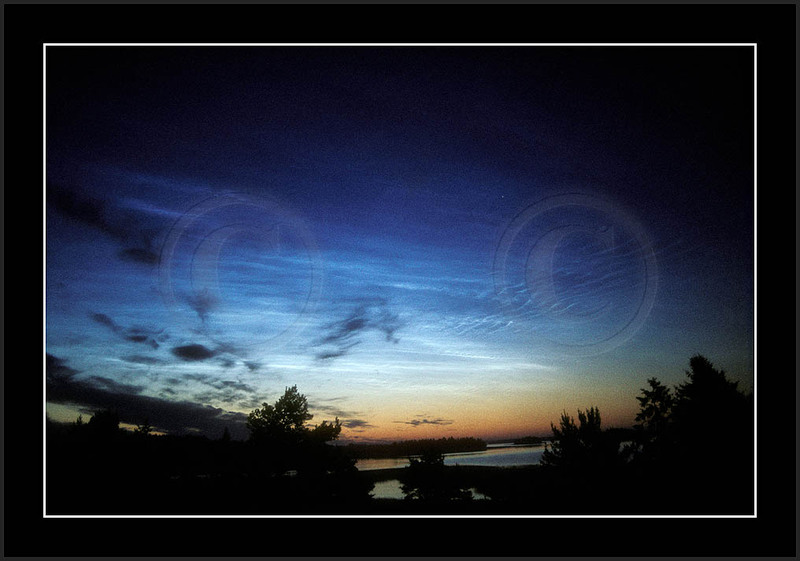 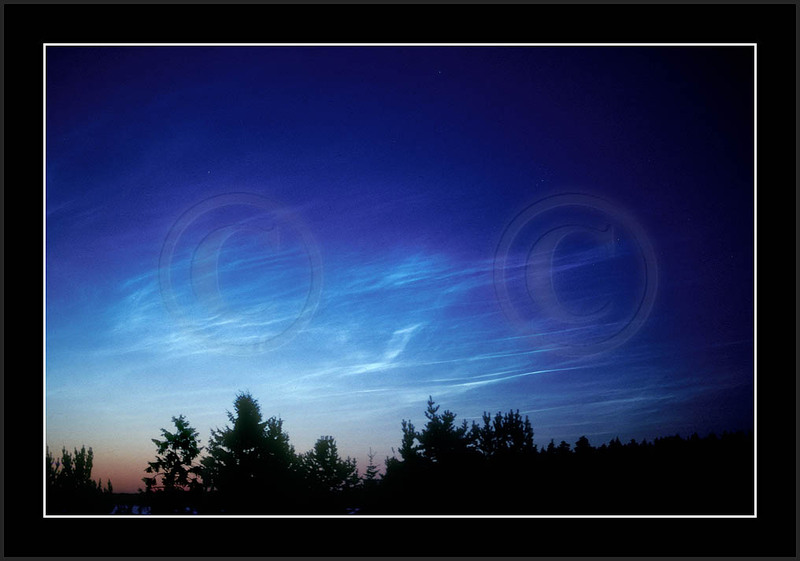 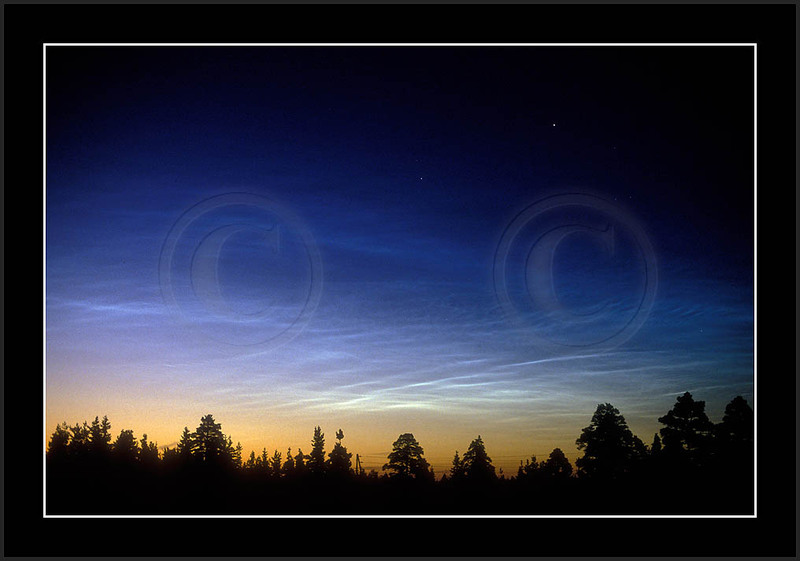 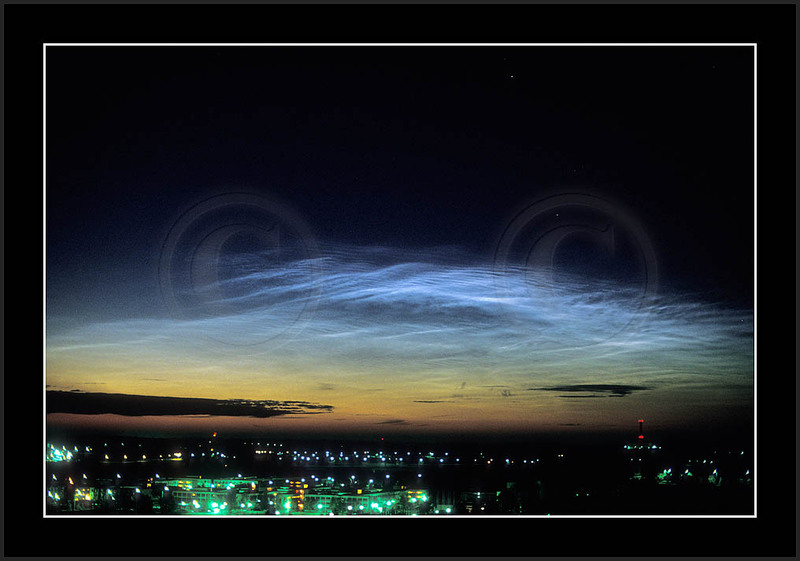 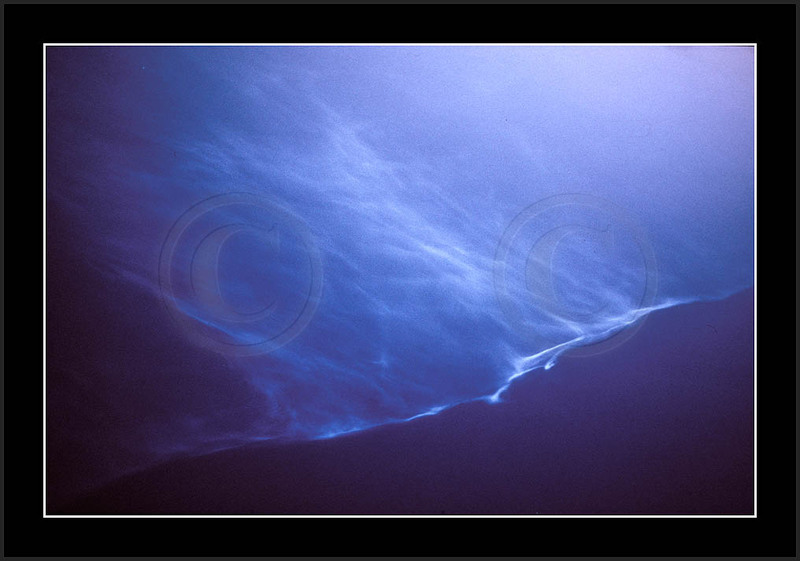 My first noctilucent clouds (NLC) I photographed in July 1978 (first image): I knew there was a phenomenon called NLC, but word "cloud" did not inspire to stay up summer nights! 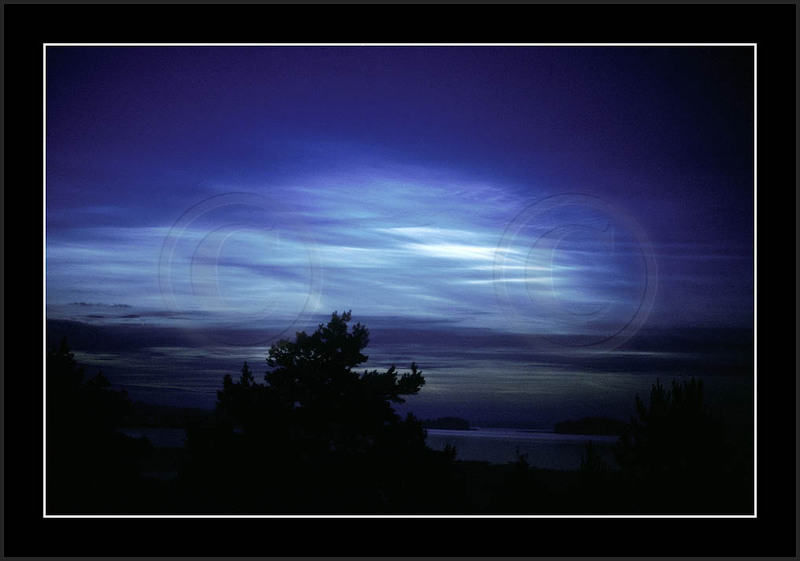 Then accidentally a bright display caught my eye and since then there was no way to avoid monitoring these silent, white sailors in the summer night. 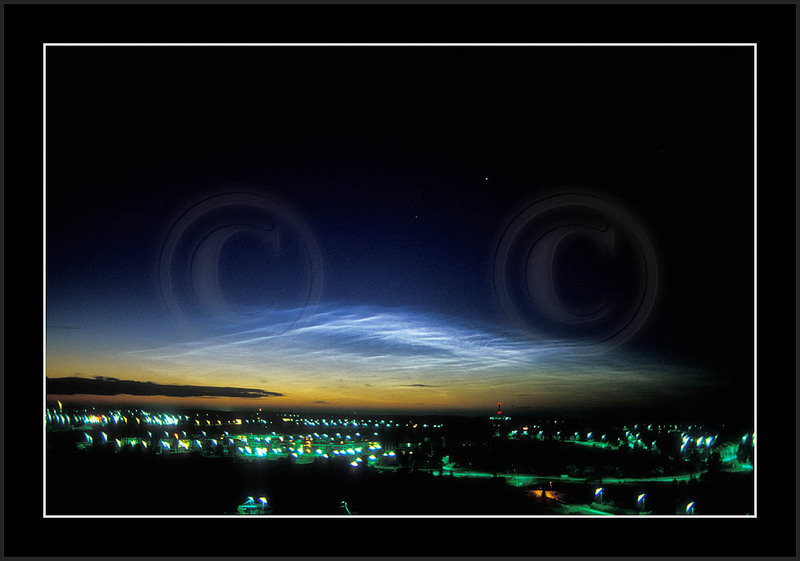 In 1979-1981 all NLC images were recorded in B&W and are not posted here. 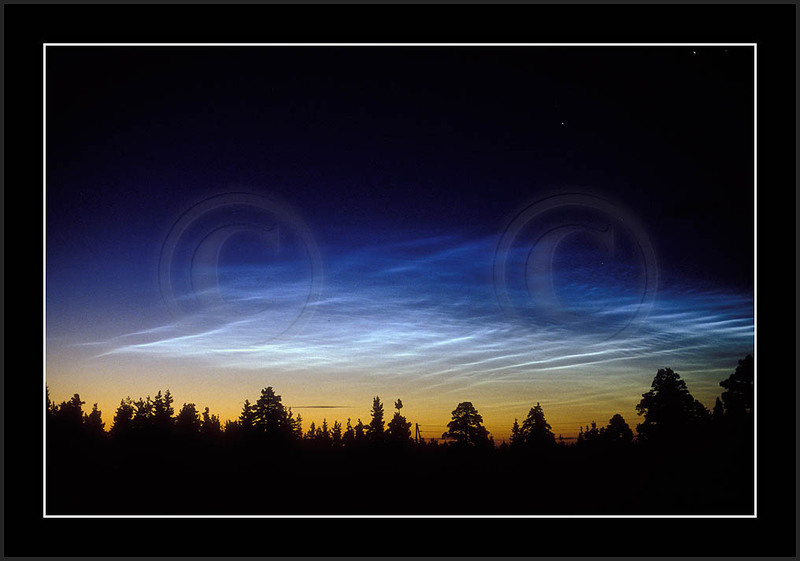 Some of these early NLCs have been difficult to scan due to Kodachrome-film. 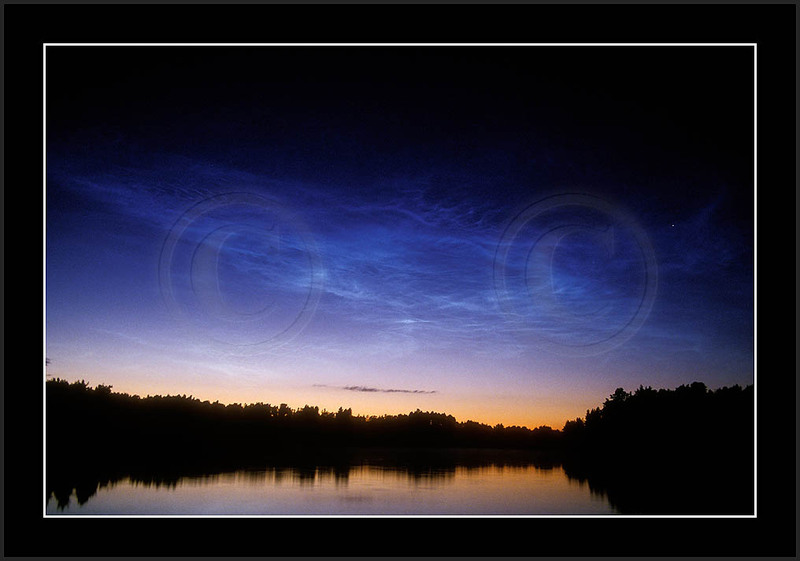 In a quality scan all images are stored in 16-bit colours to preserve all reservoirs for possible hi-res needs. 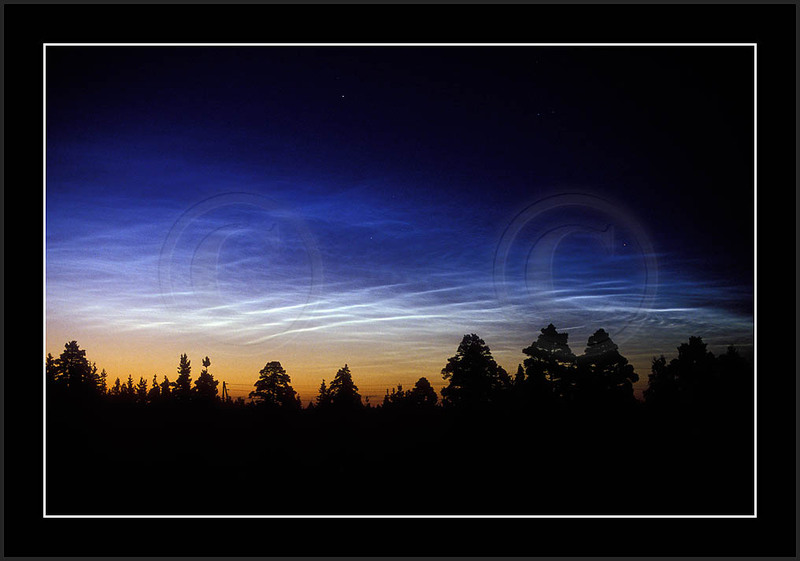 In this posting the fine tuning of images isn't very delicate.